Have you ever had a migraine headache? If you have, you know how crippling it can be! Sharp, intense and throbbing pain, not only at your temples but radiating throughout your head. On top of that, you’re dealing with feelings of nausea and digestive discomfort, an unbearable aversion to light and sound, and irritation with even the smallest of movements. 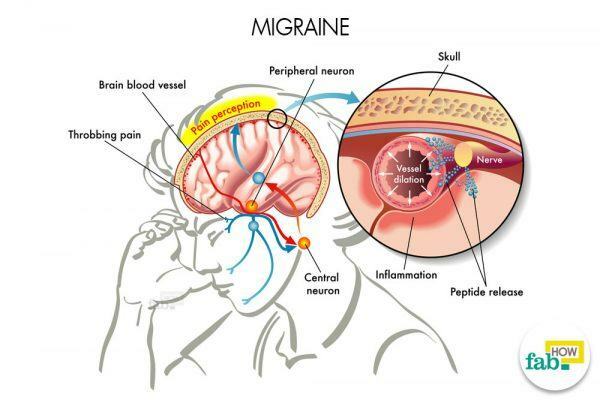 Every second of a migraine is miserable! So, what do you do? Pop a painkiller and buzz off to sleep. But it’s just not enough. Realize the side effects of painkillers, and you’ll come to see the value of natural treatments. These natural treatments can help you get rid of that crippling discomfort. Instead of succumbing to that incredible pain, get rid of a migraine fast without medication with these simple tricks to soothe your pain in no time. Temperature therapy is one of the best ways to relieve your pain. 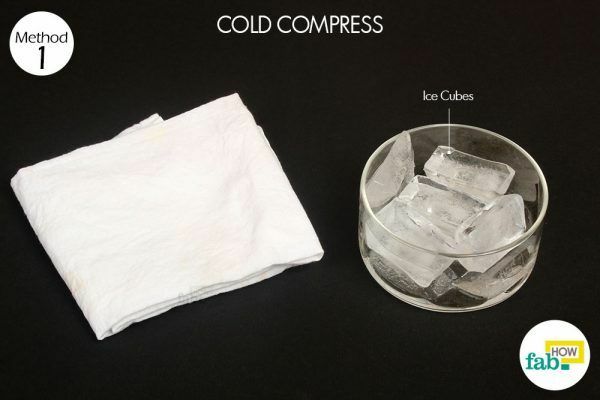 Wrap some ice cubes in a piece of cotton cloth. Grab and tie the corners. 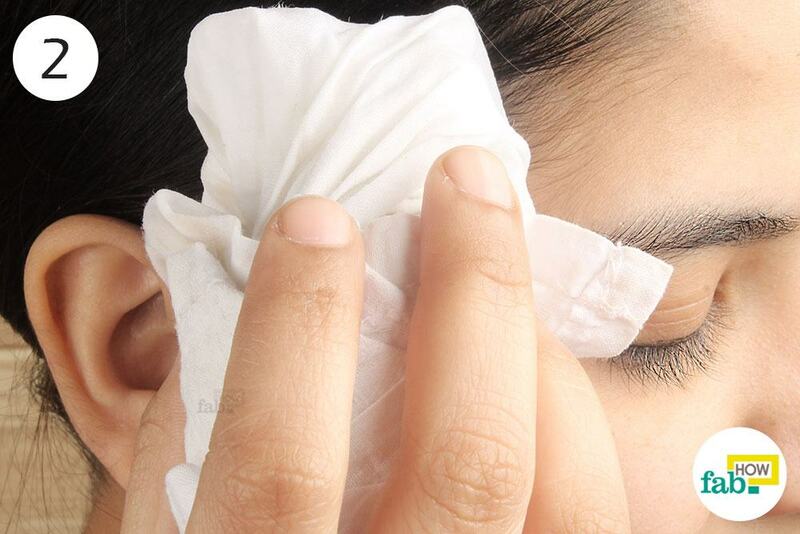 Hold the wrap against your forehead for 15 minutes. Make sure you keep moving it around and do not stick to one part of your forehead. Alternatively, you can use a bag of frozen veggies as an ice pack. 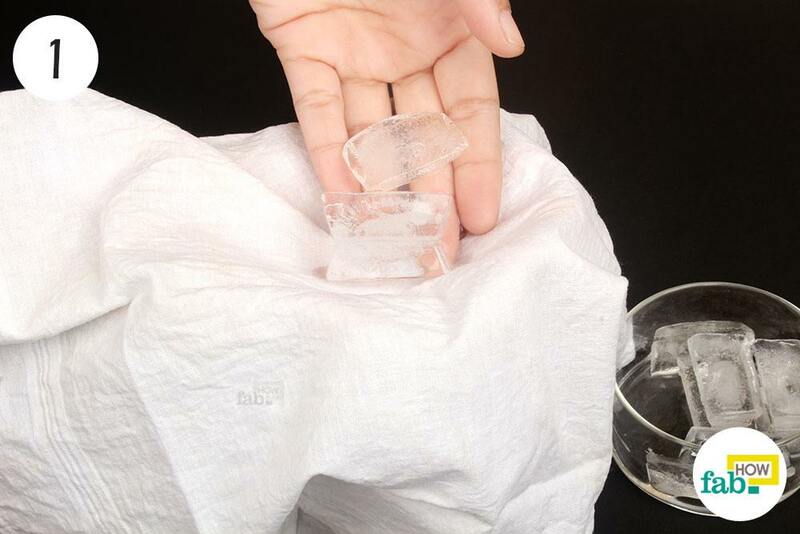 Note: You must never apply ice directly on your skin, as it has a damaging effect. Always wrap it up in a thin piece of cloth before use. Put a small amount of peppermint oil on a cotton ball and dab it on your forehead, temples and the back of your jaws. Massage gently in circular motions for 5 minutes. You’ll feel a cooling sensation while applying the oil. Relax for 15 minutes in a quiet place. Repeat the treatment as needed. For those with sensitive skin, it is best to dilute the peppermint oil in olive oil or water to avoid irritation and itching. 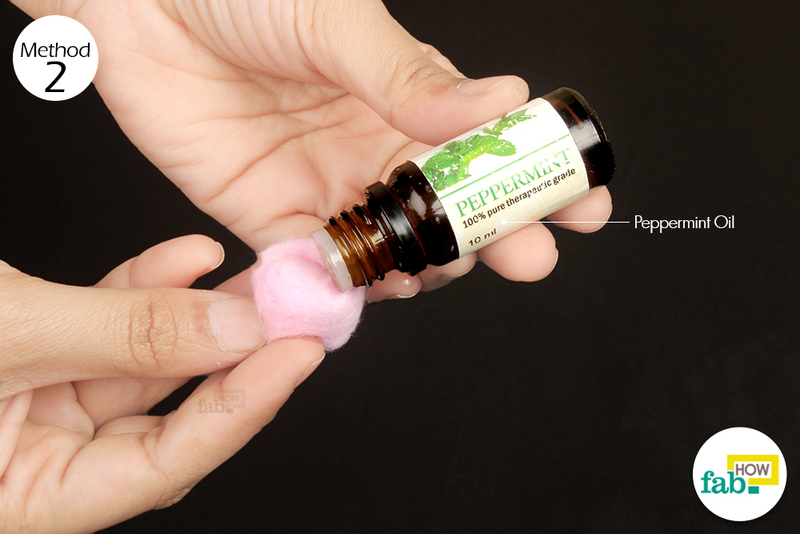 Alternatively, you can inhale the soothing aroma of peppermint through steam. This helps alleviate headaches and relieve symptoms like nausea and vomiting. Mix about a ½ teaspoon of cayenne pepper in 1 cup of warm water. 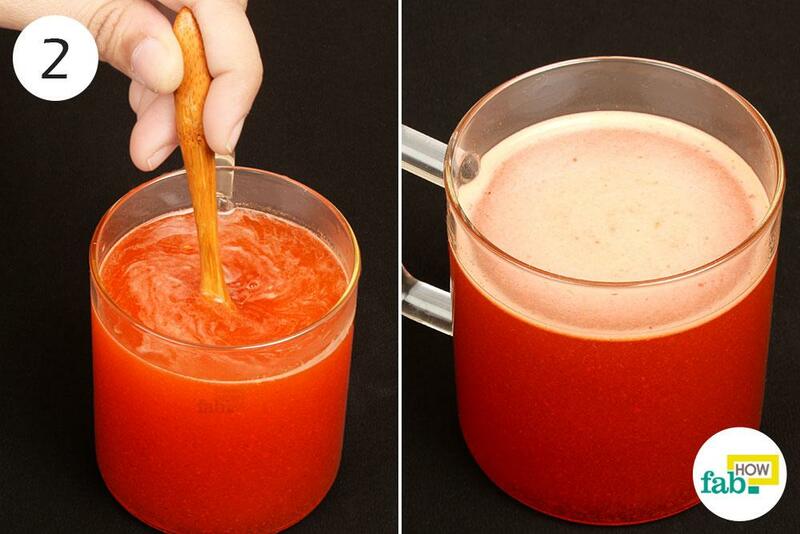 Add ½ teaspoon of honey to the water as well. 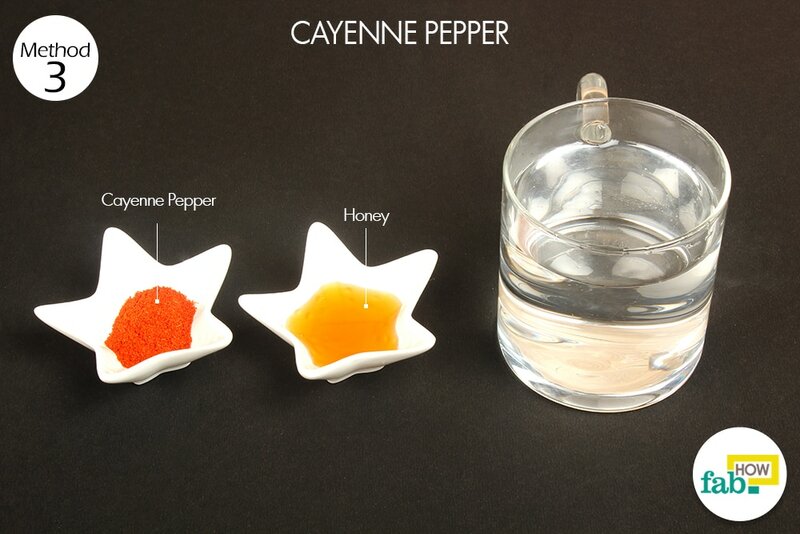 Stir the mixture well, so that the cayenne pepper and honey are completely dissolved. Drink the mixture twice within a span of 4 hours for a few days as needed. Slip into darkness. Migraines increase sensitivity to light and sound, so, turn off the lights and relax in a dark, quiet room. Sleep if you can. Pop a garlic clove as soon as possible. An anticlotting agent, garlic helps prevent clotting and regulate the flow of blood, thus restricting the trigger issue for migraines. Try acupressure. There are several focal points on your forehead, back of the jaws, neck, and shoulders that have a soothing effect in relieving pain when massaged. Sprouse-Blum AS, Gabriel AK, Brown JP, Yee MHC. Randomized Controlled Trial: Targeted Neck Cooling in the ... Hawaii Journal of Public Health and Medicine. https://www.ncbi.nlm.nih.gov/pmc/articles/PMC3727573/. Published 2013. Accessed February 8, 2019. Haghighi AB, Motazedian S, Rezaii R, et al. Cutaneous application of menthol 10% solution as an abortive treatment of a migraine without aura: a randomized, double‐blind, placebo‐controlled, crossed‐over study. The Canadian Journal of Chemical Engineering. https://onlinelibrary.wiley.com/doi/abs/10.1111/j.1742-1241.2009.02215.x. Published February 5, 2010. AA, Negrev NN, Shaik YB, Castellani ML. et al. 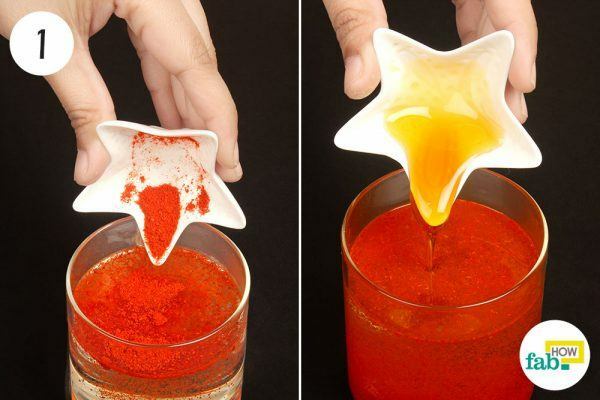 Capsaicin: An irritant anti-inflammatory compound. Journal of biological regulators and homeostatic agents. https://www.researchgate.net/publication/5639468. Published 2007. Richard B. Lipton H-CD, Matthew S. Robbins, Sandy Yacoub Garas, Ketu Patel. Caffeine in the management of patients with a headache. The Journal of Headache and Pain. https://thejournalofheadacheandpain.biomedcentral.com/articles/10.1186/s10194-017-0806-2. Published October 24, 2017. White B. Ginger: an overview. American Family Physician. https://www.ncbi.nlm.nih.gov/pubmed/17575660. Published June 1, 2007.